What is ACES? The best of the best – a group of elite handgun shooters competing at an invitational, multiple shooting sport competition slated for October 2012. The Association of Competitive Elite Shooters or ACES was formed by four of the top shooters in the world: Max Michel, Dave Sevigny, Phil Strader and Travis Tomasie. Their accomplishments are too many list having won world, national, area and state championships. ACES members are world-class competitors who have been hand selected. There are no membership fees. There are no applications. Just the top-notch USPSA, IDPA and practical shooters from all disciplines. ACES is like no other organization. Members have been selected for their accomplishments, professionalism and sportsmanship. The new ACES organization website is a central location where you can browse through profiles, view contact info and visit ACES member’s personal websites. The ACES Selection Committee expects to feature less than 20 members initially with others on the brink of making the qualifications. Current members of ACES include the four founding members as well as: Taran Butler, Eric Grauffel, Todd Jarrett, Emanuel Bragg, JJ Racaza and Robert Vogel. More members are being added as the organization grows. 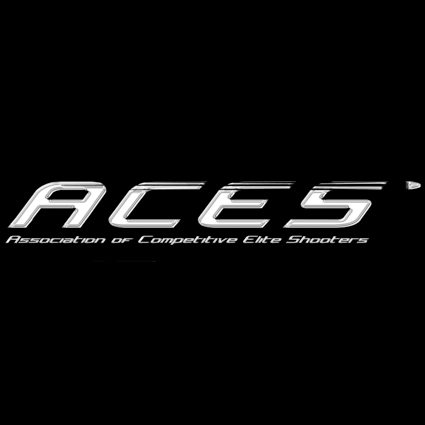 ACES tournament will be a unique format makes for the deepest field of talent competing head to head in challenges featuring tests found in the exciting, fast paced, accuracy demanding shooting sports. Every competitor must complete each stage with an optical sighted handgun and also with an iron sighted handgun. The winner is the competitor with the best aggregate score across all stages and both firearm types. Easy, right? Think again. The match will be like shooting a Steel, USPSA and IDPA match all in one day with two guns. Top Shot competitor Mike Hughes’ Next Level Training Productions will produce a video of the match following the event. You can find more information about ACES and check out the members profiles here. This entry was posted in Professional Shooters, Recommended Organizations, Shooting Events and tagged ACES, Association of competitive shooters, best handgun shooters, competitive handgun competitions, competitive shooters, Dave Sevigny, fastest handgun shooters, handgun competitions, Sevigny Performance, top handgun shooters. Bookmark the permalink.